"...an innovative analysis of our current economic woes which should cause most economists to rethink their views of what has gone wrong." Major subsidies and regulations intended to help the poor and unemployed were changed in more than a dozen ways after 2007. Economist Casey B. Mulligan argues that many of these changes were reasonable reactions to economic events, with the intention of helping people endure the recession, but they also reduced incentives for people to work and businesses to hire. He measures the startling changes in implicit tax rates that resulted from a labyrinth of new and expanded “social safety net” programs, and quantifies the effects of these changes on the labor market and the economy. He also reveals how borrowers can expect their earnings to affect the amount that lenders will forgive in debt renegotiation, and how this has acted as a massive implicit tax on earning. He explains how redistribution in the forms of subsidies, taxes and minimum-wage laws profoundly altered the path of the economy and made the recent recession one of the deepest and longest in decades. 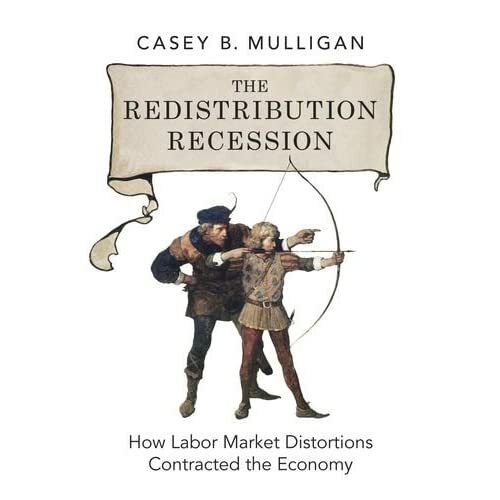 The Redistribution Recession is a controversial, clear-cut, and thoroughly researched analysis of the effects of various government policies on the labor market. It offers groundbreaking interpretations and precise explanations of the interplay between unemployment and financial markets.